The growth rate of the disease Diabetes has raised at a rapid pace. Now having diabetes is not a shocking thing, as now every second person is suffering from it. Diabetic patients have to take more care of their health. It is essential that the percentage of food and sugar should be normal in the body. 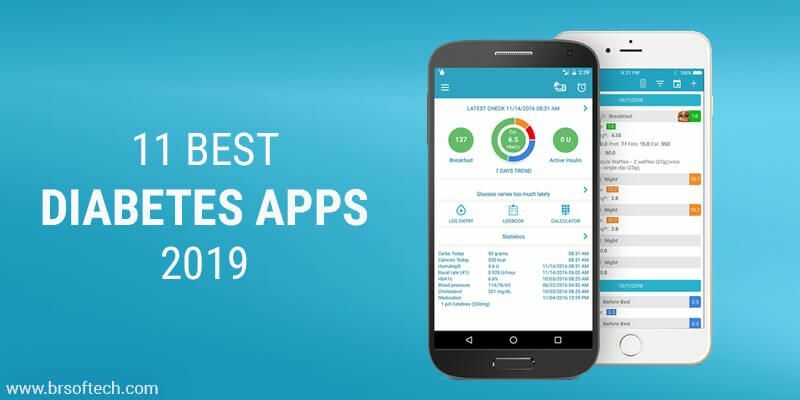 Let’s tell you the Best Diabetes Apps of 2019 through which you are enabled to track the sugar and food. This is recommended as the best Diabetes app. The On-Demand Medicine Delivery App has all the information in the backup system. For glycated hemoglobin measurements, the medical app has HbA1c feature. It previews the overall picture of the blood sugar levels. My Sugr diabetes app also provides feedback and treatment to the patient. It is launched by Columbia University Medical Center. The GlucOracle app helps to showcase the gluouse level after every meal. It helps the patient to protect themselves from spikes. Gives advice for the food intake and monitors the meals. The glucose buddy helps to keep people close to their health status which includes medication use, A1C, blood pressure, blood glucose, and carbohydrate intake. Via push notification, it alerts users for the blood test. This diabetic app offers health treatment with the calendar. It analyzes the data, which patient provide and makes the treatment process easier and faster. The BG Monitor app the trends of blood and sugar app. This medical app sends a notification to the user if there is any modification or alterations. For an easy understanding, they deliver the results in the graphical form. This health app has the ability to store the data and even patient can store the data on the google Drive and share with the health team. With the help of Beat O mobile app, your can transform your smartphone into glucometer. It helps to manage your diabetes and also offers custom monetization for all sights of diabetes needs. The BeatO offer free diabetes consultations service for the first three month. Supported Device: Android and iPhone. It advise users to exclude the unhealthy food from your diet chart. By scanning the barcode, this app can tell the nutrition include in this app. Users can also know the food intake and other aspects of the body including sleep, food, and mood. This app helps to monitor the aspects such as meals and medications. It manages overall diabetic process which includes meals, injections, medication, sugar meals etc. It preview overall diabetes management. It manages weight, sugar readings, and other factors which affect diabetes. On this app, user can even invite their friends and family. The Glooko app tracks the data and keep the record of the data in history. It is enabled to grab the data from the blood glucose, insulin pumps, and fitness track. It keeps eye and tracks cholesterol, weight, water intake, HbA1c, and net carbs. The Diabetes Tracker app manages the diabetes system on their fingertips. On this app, the food can be enter easily by scanning the barcodes. User has to give the information about the weight goals, meals information, and it helps to maintain a healthy weight. This app is a one stop solution as it keeps your record, guide weight management plan etc. The health issue is the serious concern and to turn people’s lives more secure, now various medical applications are launching on Apple and Google play store. The rise of diabetes mobile applications has raised the demand of the diabetes app development services. When it ccomes to app development services, so BR Softech has marked its remarkable presence as a best diabetes app development company across the boundaries. We have delivered several Diabetes management app to the health industry as per our customer and market requirement. Number of patients are relied on diabetes mobile applications and these mobile applications are ruling in the market. 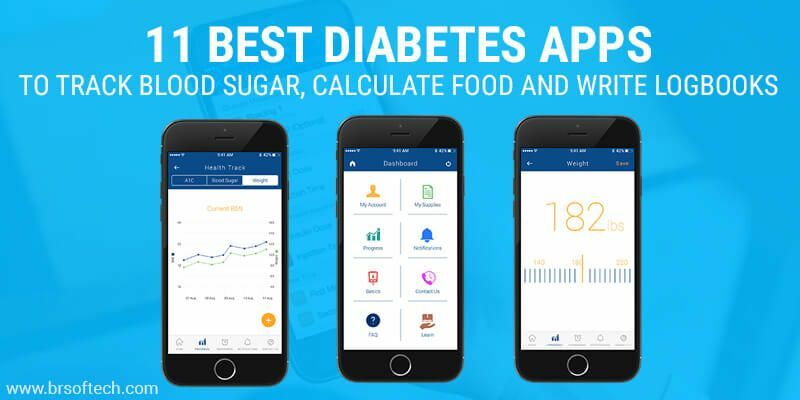 If you are a diabetic patient, so opt one of them and if you feel there should be some more features in it, and you have a different healthcare app development idea. So just tell me your idea, we will bring it into reality. 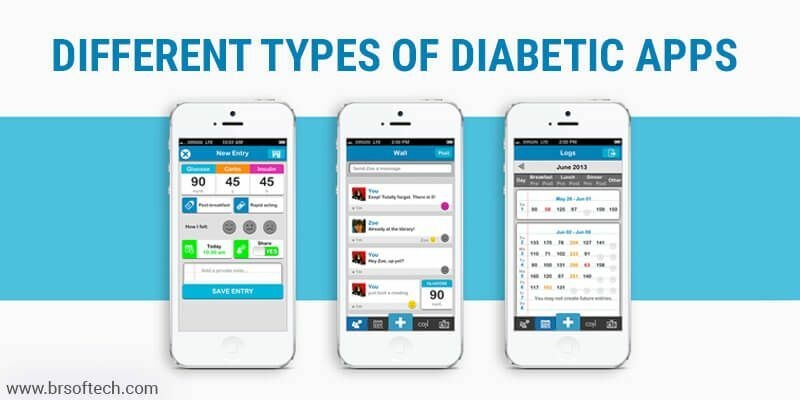 Our team has a capability to bring the Best Diabetes App for the medical requirements. Urvashi Kewalramani is a technical content writer. She has worked with different reputable brands and believe to bring professional and interesting write ups for the audience. Presently, she is working with an award winning IT company BR Softech known for web and app development services. Why Do Players Love Online Slots Casino Games So Much?